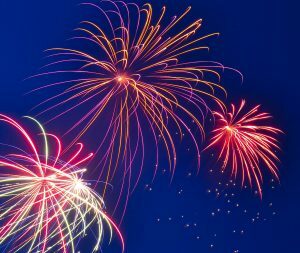 The Ford Library will be closed Sunday, July 2nd – Tuesday, July 4th in observance of Independence Day. Summer hours will resume on Wednesday, July 5th. Kolhatkar, Sheelah. Black Edge: inside information, dirty money, and the quest to bring down the most wanted man on Wall Street. Random House, 2017. Stories about powerful people behaving badly make good beach reading, especially if the protagonists are rich financiers and they come to a bad end. Extra points if the books illuminate the workings of Wall Street. Ruthless hedge fund owner Stephen A. Cohen is the subject of Sheelah Kolhatkar’s new book, Black Edge. The story begins as Cohen graduates from Wharton and begins his career at a small brokerage firm in lower Manhattan. His natural instincts make him a star trader almost immediately. Fearless and self-confident, he generates huge profits by trading large blocks of stock at high frequency. In 1992, Cohen starts his own hedge fund, SAC Capital Advisors, and by 1995, the company is worth $100 million. He charges exorbitant fees and keeps half the profits. As he grows more powerful, he requires Wall Street bankers to give him advance notice before releasing information that would affect the price of a stock. After SAC surpasses $1 billion in assets, he hires new traders who have personal connections with people working in public companies. He uses these contacts to gather inside information (black edge) that he uses for trading. Cohen becomes one of the richest men in the world. One of Cohen’s first in-house analysts is Duke engineering alumnus C.B. Lee, who travels to Taiwan and China to gather inside information on companies that manufacture semiconductors. Another early hire is Mathew Martoma, a Stanford MBA, who had attended Duke as an undergrad under the name Ajai Mathew Thomas. Martoma is a biotechnology specialist at SAC who had black edge on pharmaceuticals. After the FBI and SEC investigates, Lee cooperates with law enforcement, while Martoma is convicted of securities fraud and sentenced to prison. He never turns on Cohen, who goes free. At the end of the book, Stephen A. Cohen is more wealthy and powerful than ever. Instead of ending corruption in a powerful industry that operates in the dark, the FBI and SEC stop prosecuting high level corporate criminals on Wall Street. Sheelah Kolhatkar is a master storyteller. Her entertaining and well-researched book is recommended for anyone interested in finance and ethics. She presents complex material in a clear narrative. Characters are multi-dimensional, including Duke alumni C.B. Lee and Mathew Martoma, who are treated sympathetically. Duke readers note: there is a third university connection — ethics professor Bruce Payne (Sanford School of Public Policy) who is depicted as acting with honesty and integrity. The film The Circle was released last month and has already grossed $170 million. 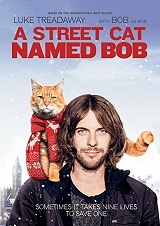 Reviews have been negative, but that has not stopped readers from wanting to read the book that the film was based on. I reviewed The Circle by Dave Eggers on this blog in 2015, after it was selected as one of the best business books of 2014 by leadership expert James O’Toole. 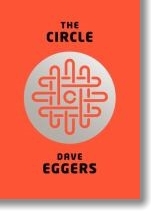 In Eggers’ novel, The Circle is the name of the powerful internet company that replaces Google, Facebook, Twitter with one unified corporation that offers a single account for email, banking, social media and all other identity needs. The goal of the company is to improve the world, through utility, efficiency and transparency. The story is about a young woman who lands a customer relations job at The Circle and is selected for a new technology project at the company. Employees are pressured to share their experiences through social media and in company sponsored events. This habit of online sharing intensifies into constant surveillance called “transparency.” Employee performance is based on feedback from millions of nameless users. As time passes at The Circle, relationships become superficial and everyday communication sounds hollow. Individuals are conscious of everything they do and filter everything they say. As employees begin spending all their time at work, life becomes one-dimensional. While not a great book, The Circle provokes ideas about workplace culture, privacy, surveillance and freedom. I recommend The Circle to anyone interested in the culture of organizations as well as those concerned about the changes in society arising from use of the internet.